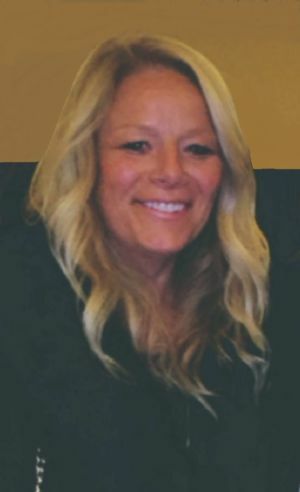 Michelle Fay Long, age 56, of Lodi, WI, passed away on Sunday, April 7, 2019 at her cottage in Green Lake, WI. Michelle was born in Hartford, WI on May 28, 1962, the daughter of Harley and Mary (Loew) Leitzke. She married Randal Long in 1992 in Madison, WI. Michelle attended school in Sun Prairie and continued on to Beauty School to receive her Cosmetology license. She worked as a Cosmetologist for more than 30 years. Michelle loved her work and was well loved by her coworkers at Aniu Salon in Middleton, WI. She also enjoyed gardening, entertaining and spending time with her many dear friends. Michelle was a very generous and selfless person, always putting others first. She is survived by her husband, Randal Long; parents, Harley and Mary Leitzke of Green Lake, WI; sister, Cheryl (Dan) Schultz of Tomahawk, WI; mother-in-law, Jeanette Long of Delavan, WI; brother-in-law, Jeff Long; sisters-in-law, Kathy (Mark) Schow; Terri (Ron) Bronson and Kim (Jeff) Graske. Michelle is further survived by two aunts; several nieces; nephews and cousins. She was preceded in death by her grandparents; three uncles; one aunt; and father-in-law, Wayne Long. A visitation for Michelle will be held on Saturday, April 27, 2019 from 2:00 pm- 4:00 pm at Terrace Shores Evangelical Free Church, W3278 County Road K, Markesan, WI 53946. A memorial service for Michelle will be held on Saturday, April 27, 2019 at 4:00 pm at Terrace Shores Evangelical Free Church, with Pastor Gary Zacharias officiating. A memorial is being established in her name.